We have our first evidence of toy production in the 15th century, when the city of Nuremberg, Germany, was a major stop on Europe's trade route. Here craftsmen made a variety of items, including toys made out of wood, foil papers, cardboard, leather, and silver and tin plate. One of the most popular toys carved back then, Noah's Arks and Christmas villages, are still collected today. In the 17th century, manufactured goods were sent from England to the colonies, mostly printed material such as books, newspapers, and printed puzzles, cards, and games for kids. Most of these items were religious in nature. 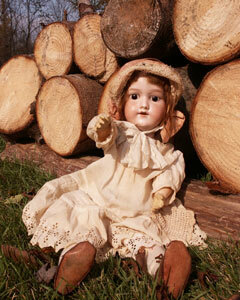 Following the American Revolution, workshops were set up all over America, and many toys were carved out of wood. By the mid-19th century, the craft of wood carving waned due to machine-operated mass production in factories, and the mechanical methods of stamping tinplate, molding papier-mache, and casting iron revolutionized the toy industry. Toys were no longer made by hand, but were produced commercially. Following the Civil War, many of the factories used to make weapons and military supplies were turned into toy factories, which is why this period is known for its tinplate and cast-iron toys. During this time, wind-up clock mechanisms were put into tin toys to add movement to them. 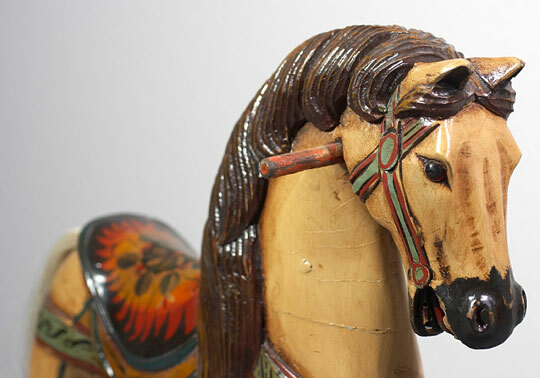 But while toys during this era were undeniably mass-produced, toy makers were artisans as well and often added hand-painted detail to the toys. After the method of sand casting was perfected in America, American craftsmen owned the cast-iron toy market through the early 20th century. During the 19th century, Victorian children were given games and toys, such as mechanical banks, to amuse and educate. Many toys depicted fairytale and Biblical characters. 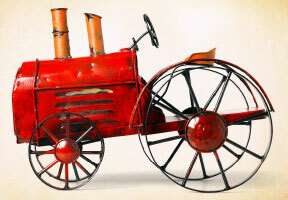 By the 20th century, advances in technology were evident as material used for real cars was used for toy cars as well. Steel and tinplate gave way to composition toys that were cheaper and easier to mold. Rubber, celluloid, and then plastic replaced composition. 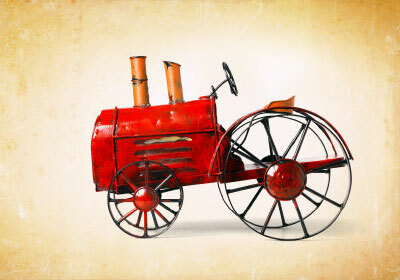 Steam and electricity were used to run toys, and by the middle of the century, battery-operated toys were popular. Today, digital and virtual-reality games that use our burgeoning software and electronics technologies are considered the most innovative and popular toys.